The next season is not going to be as turbulent as 2019. At least not in the truck segment. This year we are seeing new editions and generations of the most popular full-size segment. So, this class is not going to change a lot for the 2020 season. The 2020 best pickup trucks will be special editions of these models and heavy-duty trucks. Also, we will see some novelties in the mid-size tier. All in all, 2020 season is not going to be boring. Comebacks and upgrades of existing models are going to be the highlights. 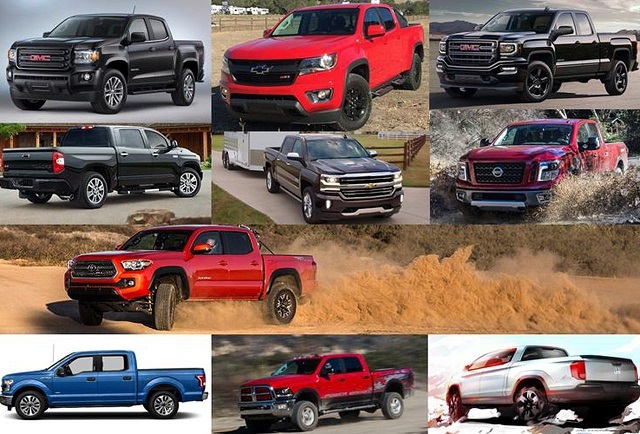 The 2020 best pickup trucks will come from well-known companies, but some also announced the arrival to the US market. We are making the list of the most interesting arrivals. However, stay tuned – we will update it whenever some news about the upcoming vehicle appears. Ford Ranger was one of the stars of the current season. Its comeback was awaited eagerly and the company brought the nameplate back to the mid-size segment. However, the truck is using a four-cylinder engine only. To be competitive and become one of the 2020 best pickup trucks, it will need to offer more. Right after the release, experts were confident the blue Oval company will upgrade the lineup sooner or later. Fast forward to September 2018. The Euro-spec Ranger is getting a Raptor treatment. Buyers in this part of the world and in Australia are getting this trim level already. The 2020 Ford Ranger Raptor must appear in the US. No way that the truckmaker will skip it. Shy rumors are speaking of it, but nothing is official yet. Of course, the US version will have nothing in common under the hood with a diesel engine of the Euro-spec and Australian versions. Toyota announced the new Tacoma for the next season. The last redesign was in 2015 when the company launched the new generation. However, they’ve been using the same design language even more. The 2020 Tacoma will present some changes on the front fascia, making it fresh and modern and worth of making our 2020 best pickup trucks list. 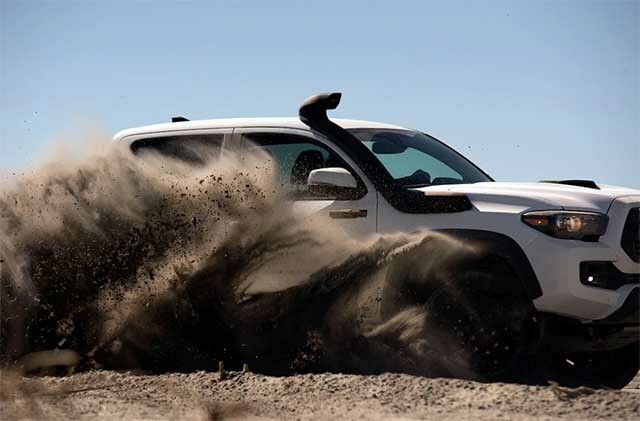 While the diesel drivetrain is still questionable, we can hear that 2020 Toyota Tacoma TRD Pro remains the top pick. An off-road truck is being updated with new features and equipment. We expect to see new suspension and shocks, unique as before. Also, cosmetic changes of this version are making a strong statement. Safety will need upgrades, especially because the Tacoma will go to wildest outskirts. Chevrolet Colorado ZR2 is one of the major rivals to Toyota Tacoma TRD Pro. These two trucks can do almost anything off the road. Now, the bigger stablemate will get the same treatment to challenge the Ford F-150 Raptor. The Reaper concept is there for a while, but GM never considered its production. The time has arrived and the Chevy Silverado ZR2 will be among the 2020 best pickup trucks we are waiting for. Spy photos are available. This off-road monster will come packed with a 500+ horsepower and 450+ pound-feet of torque. What is more important, General Motors will finally add the performance-oriented pickup to rival Ford F-150 Raptor. 707-hp Rated Truck – REALLY?! YES, it is possible. The 2020 Ram 1500 Rebel TRX is becoming reality. The FCA showed us easter eggs at the premiere of the Ram 1500 during 2018 Detroit Auto Show. The clock on the display was set to 7:07. Wait for a second, we are explaining that. The most powerful engine the company is producing is a supercharged 6.2-liter V8 drivetrain. Known as “Hellcat”, it can produce 707 horsepower. Ok. But what does it have to do with Ram 1500? Ford F-150 Raptor is one of the stars in the pickup truck segment. Chevy is testing it’s Reaper/ZR2 version of Silverado 1500 full-size model. Ram must jump into this category. The 2020 Ram 1500 Rebel TRX with Hellcat engine would become not only one of the 2020 best pickup trucks but the Raptor-killing beast. Well, the model will probably appear as a concept, with production starting in 2021 or 2022. Nissan Titan Warrior is a concept based on the XD version of the truck. Its visual upgrades are something worth of waiting. But, it’s been a while, and the company is doing nothing about it. A 5.0-liter diesel engine and the size of the vehicle are positioning 2020 Titan Warrior to the class between full-size and heavy-duty. However, this off-road model is yet to see the debut. With growing competition and sales numbers, Nissan could speed up the development. Warrior version will put Titan in a shell. Skid plates, underbody protection, bumpers, and other parts will protect the body and make the truck more off-road oriented. It will deliver a massive amount of torque, which will make it a No1 pick for towing duties in toughest terrains. After 25 years we will see a pickup truck with well-known radiator grille. Jeep is back in the game and its next model will be Gladiator. The last couple of years rumors were reporting about the new vehicle. But, the names in the mix were either Wrangler or Scrambler. But, the company decided to go out with 2020 Jeep Gladiator. The pickup has everything we expect from a Jeep badge. The front fascia, boxy look, open-air cabin…and a diesel engine. With a 3.0-liter V6 unit, it will be capable to beat Colorado’s towing capacity. The new Gladiator is going to be one of the 2020 best pickup trucks thanks to the turbodiesel unit that can tow over 7,700 pounds. After the huge scandal, be sure that Volkswagen is not going to bring a diesel engine to the truck segment. And its 2020 VW Atlas Tanoak is ready for production. Experts tested prototypes during 2018 and it is just a matter of time when will VW’s pickup truck appear. Tanoak will take the position in the mid-size segment. The drivetrain will be shared with Atlas SUV. It is a 3.6 V6 unit that produces 280 hp and 260 lb-ft of torque. An eight-speed transmission sends power to front wheels. Engineers will increase towing capacity compared to SUV which can tow 5,000 pounds. The V6 engine will be able to haul 7,000 lbs. Also, the truck could get hybrid and PHEV versions that boasts power output to 310 hp. Well, what kind of a list it would be without the best-selling pickup truck in the world? The F-150 is in the new generation. Diesel engine arrived for the 2019 season. But, what fans can expect from the next year? Is it time for 2020 Ford F-150 Lightning? A performance version of a truck was available in two periods, last time 15 years ago. However, some things won’t change. The Lightning model will be based on the standard F-150, but it will have higher outputs. Transmission from the Super Duty trucks will help it handle the massive output. Also, there should be numerous body modifications, including more aggressive front fascia, wheels, and bed add-ons. You don’t have to think too much about the manufacturer. It is Tesla, of course. The US company gave few hints about its next model. Definitely, they will build a truck. The 2020 Tesla Model T is a logical name. The company uses X for crossover, S for a sedan, E for everyone. However, Tesla will have to claim rights for the Model T. Ford had such name in its lineup a century ago. Whatever its name will be, the 2020 Tesla Model T is bringing the revolution to the pickup industry. The first-ever model with electric powertrain is going to offer more than 300 miles of range. Elon Musk didn’t speak about release dates and prices. We believe Tesla is not going to delay it. Model T will be one of the 2020 best pickup trucks. The heavy-duty segment is making the most profit. We can hear rumors and see spy photos of the vehicles from all big three manufacturers. However, the 2020 Dodge Ram 2500 is drawing the most attention. The company announced that the new modifications of the diesel engine will make it a class-leading vehicle with torque output above 930 lb-ft. This twist power can make some serious towing capacities, probably over 31,000 pounds. Of course, numerous upgrades are required. We will know more about details when the 2020 Ram 2500 debuts. We already can predict it will be one of the 2020 best pickup trucks. Well, it could happen soon. But, the sales will start late in 2019, and some trim levels and options will become available during next year. Mega cab is spied and it brings some serious cosmetic changes. The 2020 Mercedes X-Class, or 2020 Mercedes X-Klasse, is ready for the US market. The truck had its premiere in Australia. Based on Nissan Navara, the X-Class made its first appearance. Now, the German premium brand is heading to the USA. Well, the luxury pickup market is not big yet, but the things are warming up with rumors from other companies. Soon, we should see BMW, Audi, Lexus, Infiniti, Lincoln trucks out there. The biggest problem for such kinds of vehicles is the price. The premium pickups are coming at a premium cost. And that is probably around $45,000 for 2020 Mercedes X-Class. Add $5,000 and you can buy a mean machine – Ford F-150 Raptor, larger and more capable to do anything you want, anywhere you go. This should be just a beginning. Mercedes’ main rivals, Audi and BMW will follow its steps. Well, the Bavarian carmaker seems to be slower than the competition, since Audi already has a concept. It will be based on the VW Atlas Tanoak and Q7 SUV. The mid-size class is not the only to get a premium vehicle. The 2020 GMC Sierra Denali HD is the latest vehicle we can see on the streets. After the reveal of the Silverado HD trucks, the GM is now testing prototypes of its twin pickup. Well, the GMC seems to be more stylish, thanks to the distinctive front fascia and small updates on the look. According to announcements, drivers will take a higher position, boosting overall safety. That will add more legroom as well. The new generation of the IntelliLink infotainment system brings a larger display and more options. The rear camera is evolving to make trailers transparent. With 15 angles, this feature is making a kind of revolution in safety and towing and make the Sierra HD Denali one of the 2020 best pickup trucks.